I’m the chair of the only remaining Department of Philosophy at a public university in the state of Louisiana. (LSU has a department of Philosophy and Religious Studies, which is the only other public university in the state where a student can major in philosophy.) Under our current governor, nearly a billion dollars has been cut from higher education in the past 8 years. Higher education here is bracing for another—and potentially fatal—cut of between $200M-$600M. If anything like that happens, a great many more programs than Philosophy will surely be eliminated. But let’s ignore that. 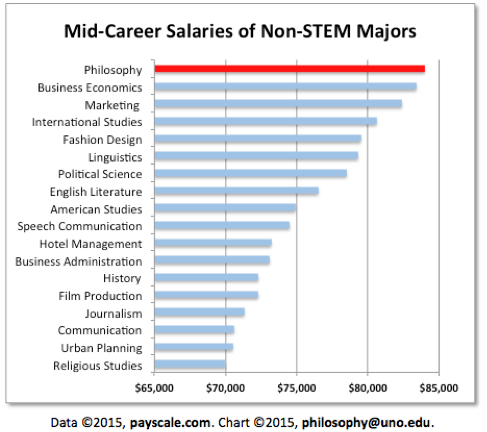 With the relentless promotion of STEM programs and the notion that Liberal Arts majors make no money after graduation, Philosophy is not merely being attacked, it is being targeted. My back has been against the wall for the entire 4 years I have been chair here. With the forced loss of 50% of the department in the cuts following Hurricane Katrina, my first priority was to increase the number of majors and completers. 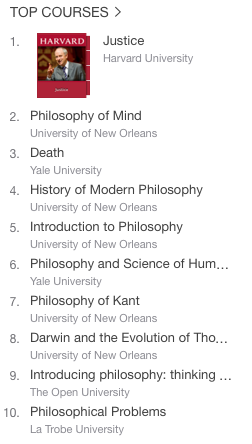 Five out of the top ten philosophy courses at iTunes U. are offered by the University of New Orleans Philosophy Department! Professor Stufflebeam says there are approximately 250,000 subscribers to their courses. Since our online program began 3 years ago, my department received a $2.1M bequest from a former graduate. With interest on the endowment, we fund a host of scholarships, awards, and grants for Philosophy majors, as well as supporting department development that would be impossible in the budget situation that has existed for years now. Currently, we offer at least $3,000 to every major, with the possibility of more money for various kinds of merit scholarships and grants. We currently have 43 majors. As we are facing a budget apocalypse scenario at UNO, despite the fact that we are efficient, productive, and profitable, my department is in danger of being eliminated simply for having committed the sin of being a small program. Hence, we are actively marketing our program. 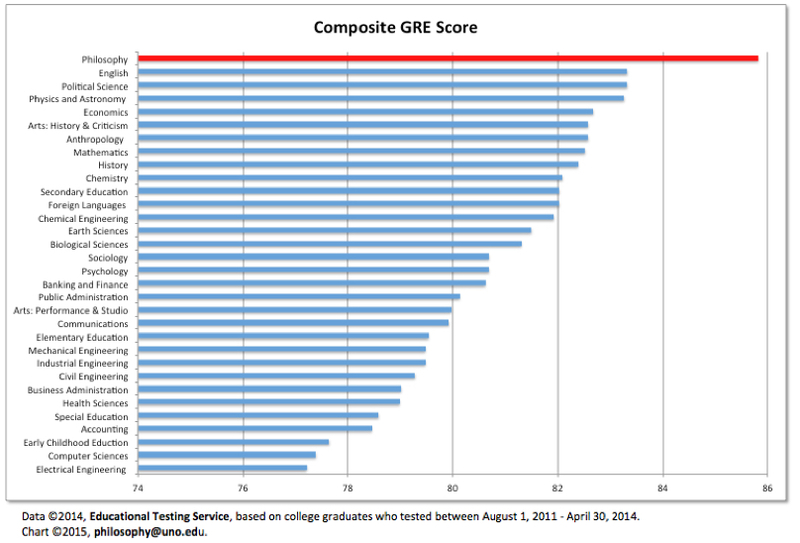 The aim isn’t simply to increase the number of majors. The aim is to change the notion that our discipline is “useless” (Neil deGrasse Tyson), “dead” (Stephen Hawking), and that Philosophy majors make no money upon graduation. Ultimately, the idea is to make it as difficult as possible for anyone to recommend the elimination of my program. I think Professor Stufflebeam and the University of New Orleans Philosophy Department should be commended for these impressive efforts. If your department has taken steps to confront similar challenges, I would be interested in hearing more about that. Additionally, we might ask what steps professional organizations like the APA might take that could be of use to struggling departments. UPDATE: See the Daily Nous Value of Philosophy Pages.